The Professional Golf of Malaysia (PGM) Tour’s Terengganu Championship got off to a fiery start just as expected. There was a flurry of birdies as the international field in the RM200,000 tournament that is co-sanctioned with the Asian Development Tour jostled for position and provided for a day of low scoring. 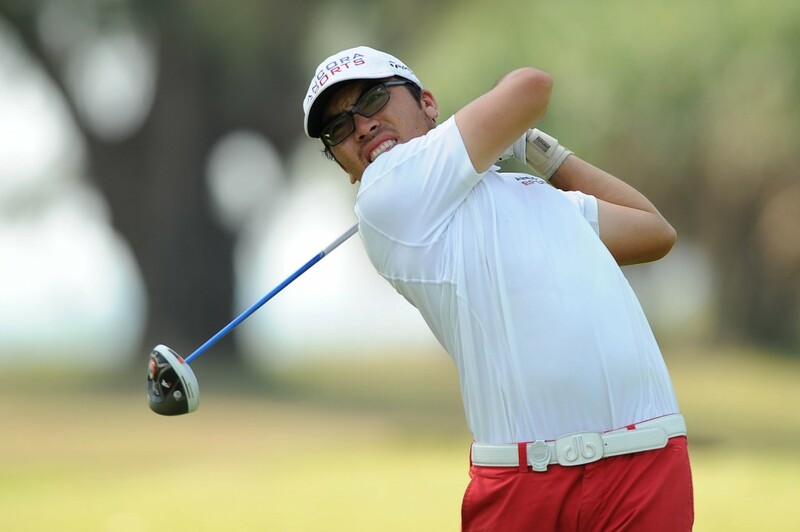 At the top of the leaderboard was 26-year-old Indonesian Rory Hie who fired an outstanding five-under 66 to lead the event after the opening round by a stroke at Resorts World Kijal. The player, who hails from Balik Papan, Indonesia and turned pro seven years ago, said his performance today was the result of a tweak to his putting that he and his father, who is also his caddie and coach, worked on recently. “We tried something different and it worked so we brought it to the tournament,” said Rory, who has 13 pro victories to his credit, including the Asean Tour Mercedes-Benz International and two wins on the China Tour a couple of years ago. He added that he felt “comfortable” around the Kijal course, particularly so after finishing runner-up in this event two years ago. Rory had six birdies that were offset by a solitary bogey over the homeward stretch where he was bogey-free and four-under. He started well enough, with birdies at the 3rd and 7th holes, before giving a shot back at the par-4 8th hole. “I putted well and hit my irons good too,” said the player still searching for the first win on Malaysian soil. Canada’s Lindsay Renolds and Thailand’s Smithti Teeratrakul were joint second on 67, with a three-way tie for third next on three-under. Airil Rizman was Malaysia’s top-placed player, joint seventh on 69.